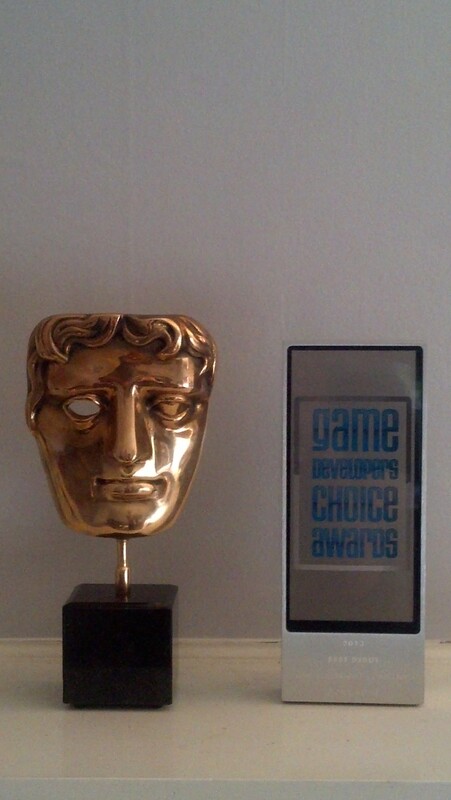 We were awarded Best Debut in both the BAFTAs and the Game Developers Choice Awards! 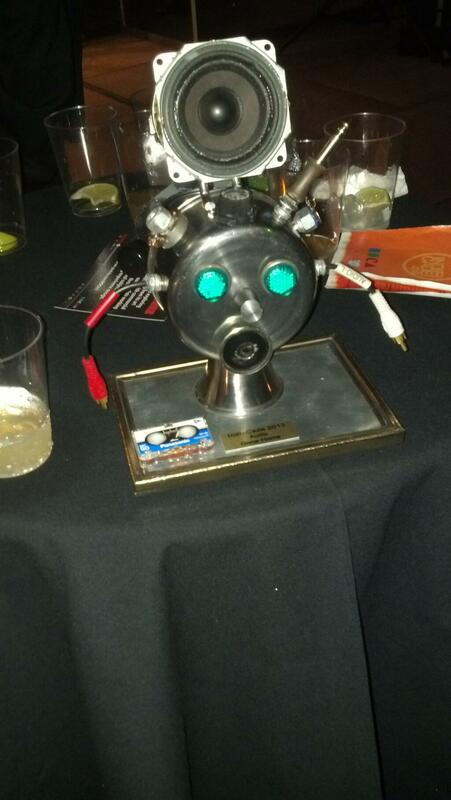 We never imagined we’d have one of these masks on our shelf… nor a GDC Award at that! 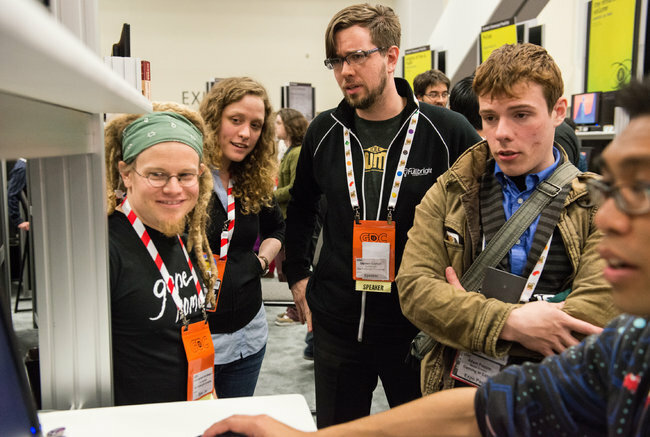 The Game Developers Conference has been a huge part of all our professional lives, and so to be up in front of all those people in the industry who have inspired us to make games, and receive this kind of recognition, is just phenomenal. We just want to say again, thank you to our parents and families, our friends and loved ones and peers in the industry who have all made these moments possible. 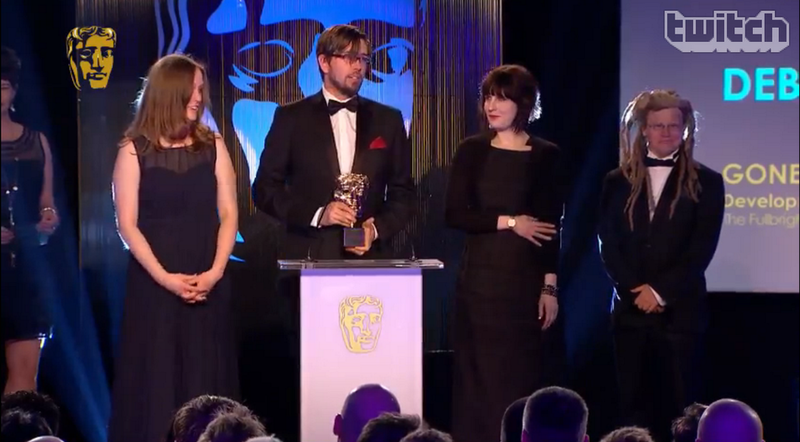 There’s no way this could have happened without every person who’s supported and encouraged us over the years and throughout the development of Gone Home. You have our unending gratitude. Hi everybody! Exciting news– we’ve partnered with the fine folks at TopatoCo to bring you an awesome line of Gone Home shirts, pins, prints… even Mom’s forestry mug! And let’s not forget… Christmas Duck!!! Steve here. As 2013 comes to a close, I just wanted to take a minute to look back at what’s been one of the most exciting, surprising, important years in this team’s life, and to thank you all again for making it possible. 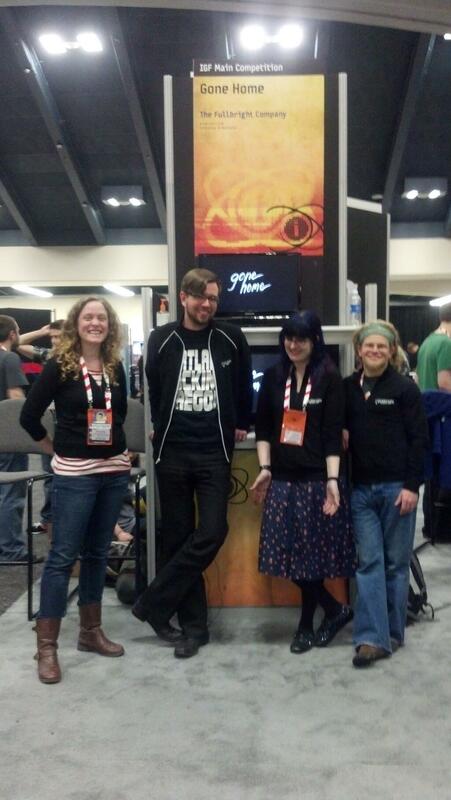 By the beginning of 2013 we’d completed the first half of Gone Home, shown it to the press in San Francisco, and submitted it to the Independent Games Festival at GDC. This March we were lucky enough to have Gone Home selected as an IGF finalist in the newly-christened Excellence in Narrative category. 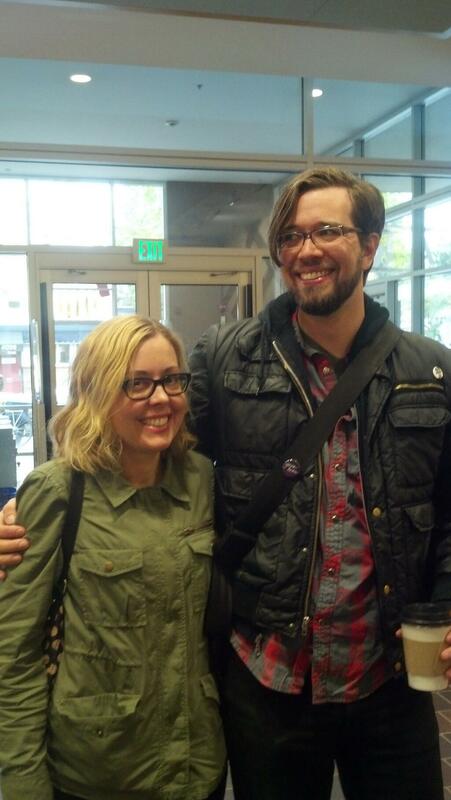 And then came that fateful day we released Gone Home to the world– August 15. We were floored by reviews that to us were completely astounding, from sites like Polygon, IGN, Kotaku and Gamespot, not to mention the New York Times! I’ve released a few video games before, but I’ll assure you this one was particularly surreal. The four of us had spent a year and a half of our lives on this thing, and then it was out there, and people were playing it and talking about it and making youtube videos and streaming it… it was real! You go from a state of always being “making the game,” to a state of the game being “out”– and it’s just so hard to really internalize! But there it was, in people’s hands, being played, being discussed, argued over, analyzed… and we were just so grateful that it had found its audience. Only a couple of months after release we attended IndieCade. 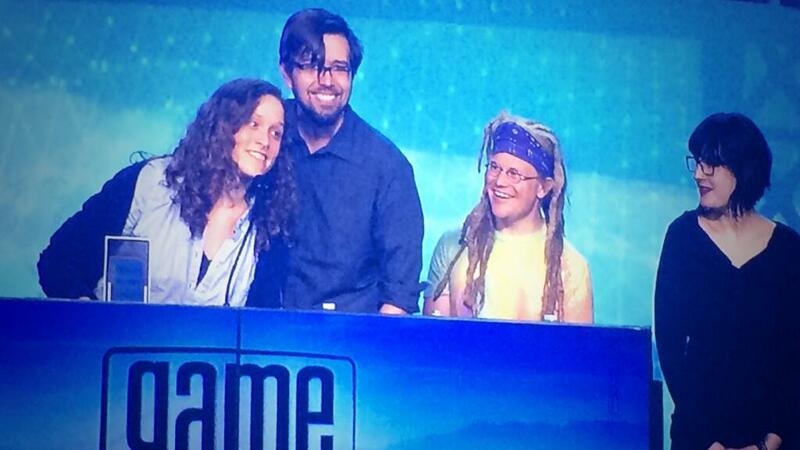 It was an awesome show where we hung out with a bunch of our friends and fellow indie devs– and were honored to be awarded the Indiecade Audio Award! 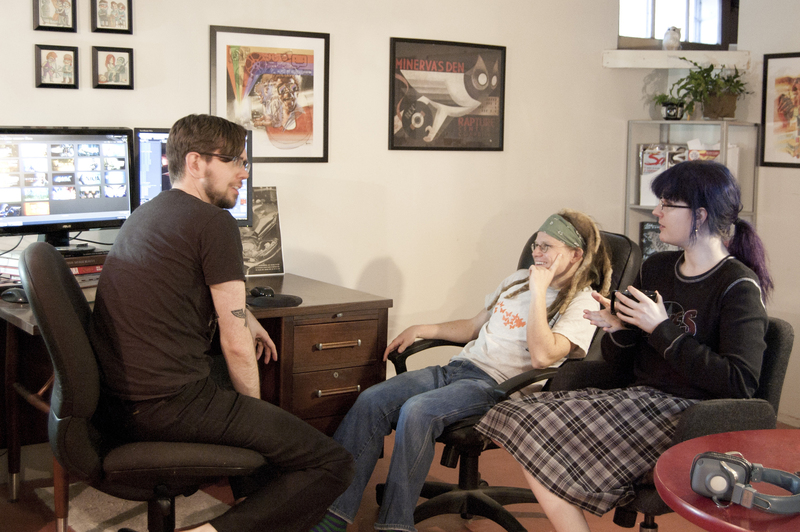 This was especially surprising to us… because we don’t have a sound designer on the team! Karla and I did the sound for Gone Home, partially using stuff we’d downloaded online, and partially using foley we recorded at local vintage furniture shop Rejuvenation, with the assistance of our friend Foley. But of course, this award really went to Chris Remo for his amazing musical score, and Sarah Grayson for her phenomenal performance as Sam Greenbriar. Among the things we’re most grateful for on this project was the opportunity to work with such talented people– and we were just so happy to see their contributions recognized at Indiecade. 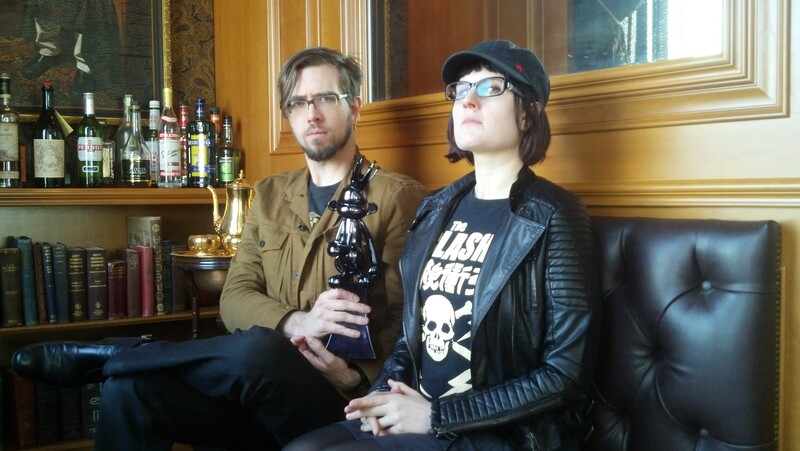 Did you know the Spike TV award statue is called the “Vector Monkey?” To celebrate we held the Vector Monkey very sternly in a regally-appointed room at Panic, Inc. But of course what made the year truly unforgettable for all of us was the huge outpouring of support from folks all over the world who played Gone Home. We got so many warm, personal, heartfelt emails from players who connected with the game in a way we never imagined possible. 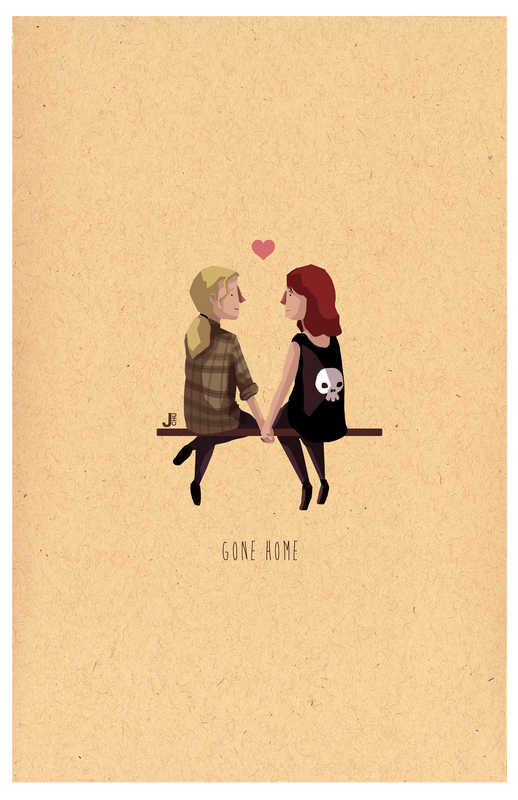 We were amazed to receive messages from all sorts of people– male and female, young and old, gay and straight– telling us how much of themselves they saw in Gone Home. That kind of response is what makes being a game developer worth it. As a creator, all you want is to make something and for people to care. Thank you all so much for sharing your experiences with us. So thank you, thank you, thank you all once again for making this incredible year possible. 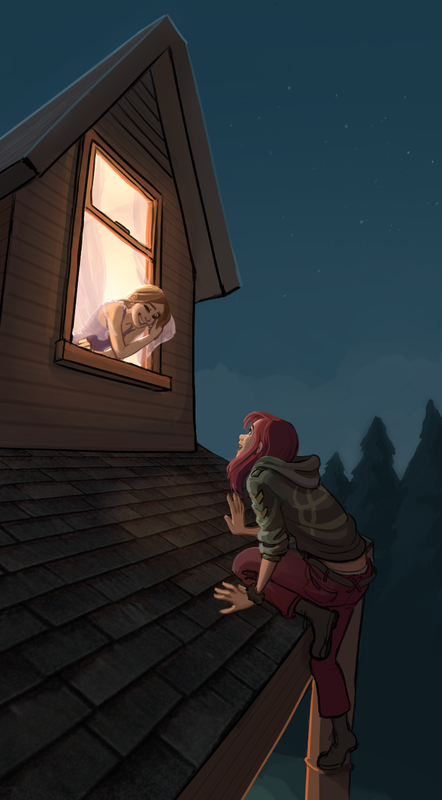 I hope you’ll all be happy to know that Gone Home has sold nearly a quarter of a million copies now– just over 235,000 as the clock winds down on this last day of 2013– ensuring that we’ll be able to make another game, and to increase our scope and ambition ever so slightly, to make our next game something that is truly new and special. We can’t wait to share more with you about what the future holds. So, here’s to 2013, a year that 2014 (and most others following it, I’ll bet) will have a tough time living up to. And we couldn’t be any more grateful. Thank you all so much. These should be just right for your Retina iPad or iPhone, or easily croppable for an Android device. Enjoy! 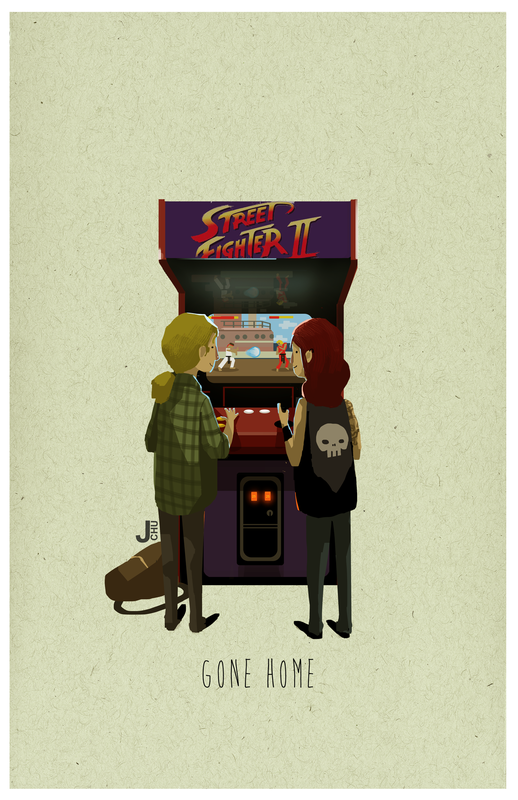 We want to thank Janice again for making this awesome art. So glad to be able to share it!